Insights that energize your business. Uncover the resources you need to drive a more effective and efficient commercial team. 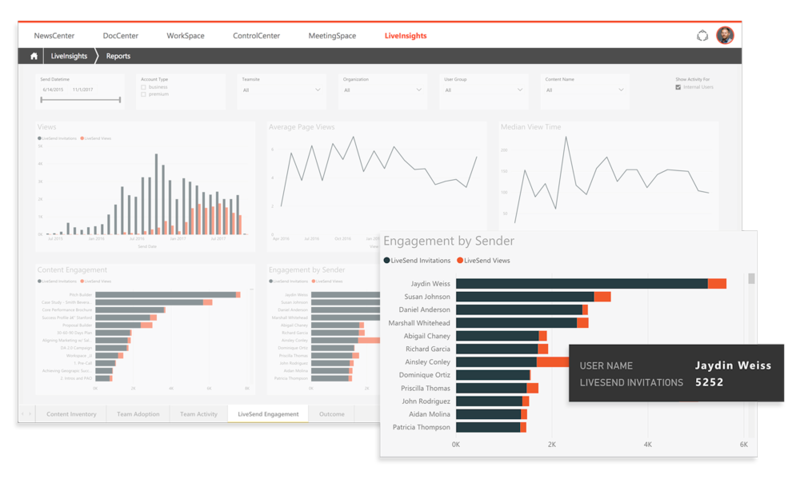 Use our powerful analytics suite to track training, engagement, content usage, and more. Discover what’s working for your sales team, what’s not, and what needs to be created. Ensure training is on track with analytics that show content usage and training resources. With a quick view, drill down to which reps are at the top of their game – and why – in order to extract best practices across the rest of the class. 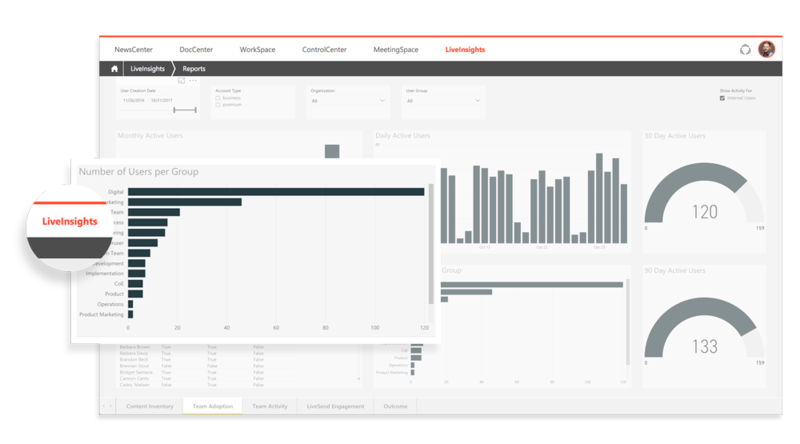 Maximize your ROI by seeing which organizations, teams, and reps are using the platform – and which aren’t – so that you can train and encourage the maximum usage of the systems. Identify how sales is using content to optimize best practices. Increase content quality by seeing which teams are most active against which pieces of content. 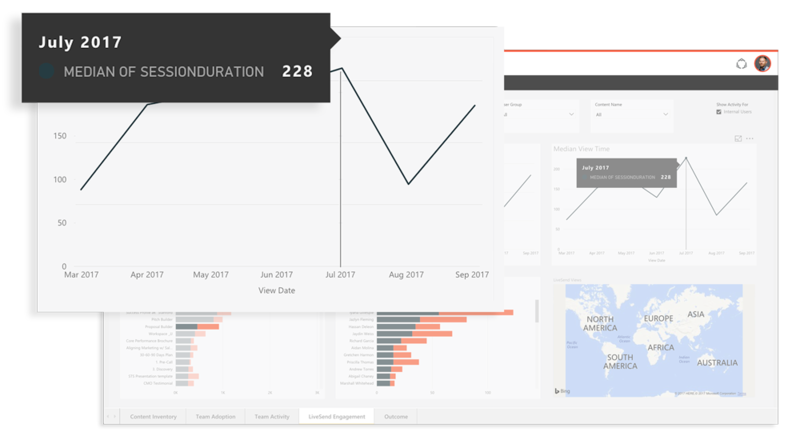 Create content efficiency through activity tracking which shows who’s viewed, modified, and delivered the most (or least) content. And, provide feedback to content creators on which assets reps are actually using. Promote content that customers are interested in spending a longer time with. 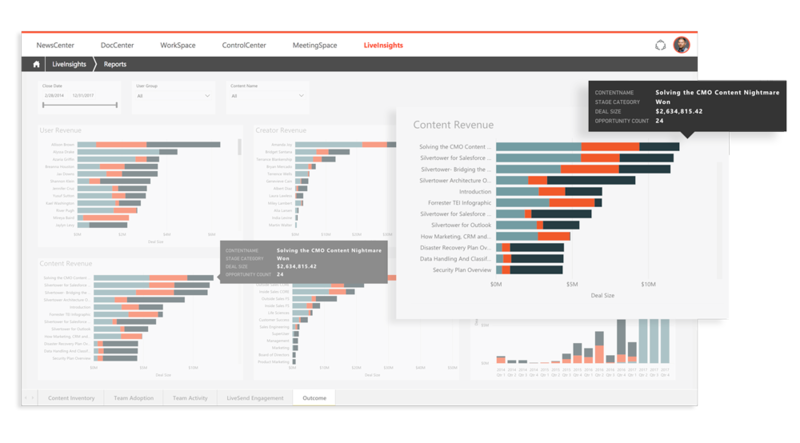 Track engagement across all your sales content, and identify trends by teams, documents, views, and even by geographic location. And monitor trending over time to adjust and optimize your content creation and delivery. See exactly what content is moving deals down the sales funnel. And adjust your approach to sales content delivery to ensure maximum impact of content to revenue. 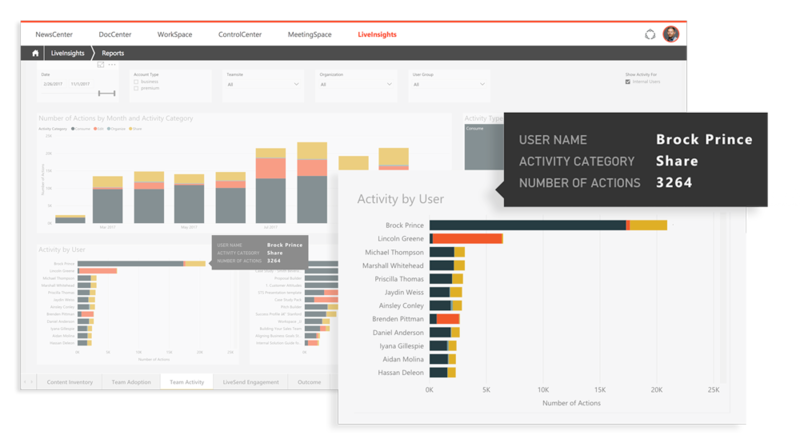 LiveInsights is an advanced Seismic feature that not only lets teams view buyer, seller, and content trends, but actually guides sellers toward the highest performing materials. Seismic’s enablement analytics suite not only allowed the credit reporting agency to track sales content usage, but uncover specifics on how all their content could work harder to push deals forward. Want to learn more about how it works? See it in action.